Wyoming elk hunting is some of the best in the US. Our region of Wyoming has a large number of resident elk, with high country meadows for summer range. This area also has natural winter range, and is near winter feed grounds. This means that finding elk to hunt is not dependent on their migration patterns. Within our western Wyoming elk hunting range there are old clear cuts, old burns with new growth and plenty of dark timber. The resident herd has a high bull to cow ratio, and offers good elk hunting all season. Western Wyoming is known world wide for hunting big mule deer. This region of the state has high mountain basins with plentiful vegetation, timber and drainages for cover, and natural winter range for Wyoming mule deer hunting. Together, these elements contribute to the growth of huge mule deer. Hunting these animals is tough though. 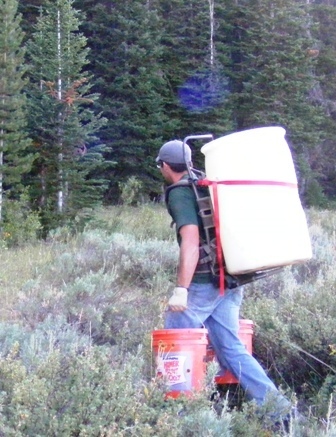 While we use our horses as much as possible, there is often a considerable amount of walking and climbing required for our Wyoming mule deer hunting. To improve the probability of success we suggest that hunters prepare for a physically demanding hunt. We offer archery mule deer hunting the first week of September while the bucks are usually in velvet and in their summer pattern. Wyoming antelope hunting is the best and western Wyoming has a large antelope population with many nice bucks for hunting. We have Wyoming antelope hunting on National Forest, BLM, and private ranch lands. 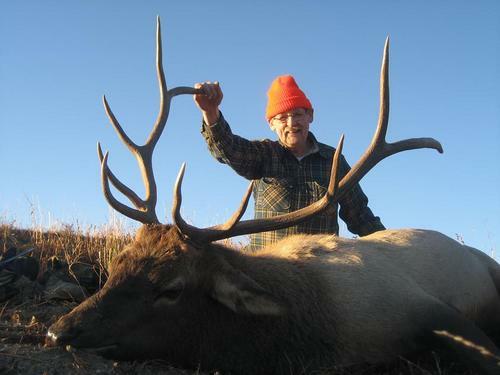 We offer bow hunting, rifle hunting and combination hunts with deer. 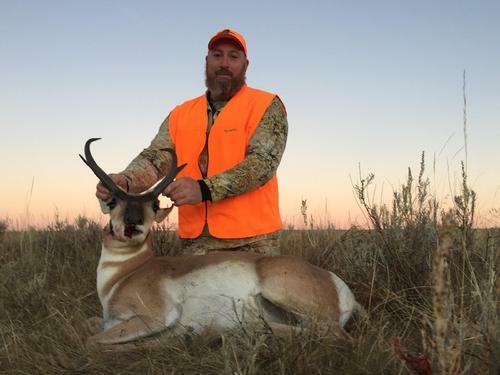 Wyoming antelope hunting with a bow will utilize blinds at waterholes, windmill stands, spot and stalk antelope hunting with a ghillie suit or decoy hunting. Wyoming antelope hunting with rifle will primarily be spot and stalk from 4X4s. Antelope rifle hunts have been 100% success. Non-resident Wyoming antelope hunters can expect reasonably high probability of drawing a tag by applying for the special tag in the preference point or random draws, especially if you have any preference points for antelope. Inquire about antelope tag drawing recommendations. Hunts include lodging. 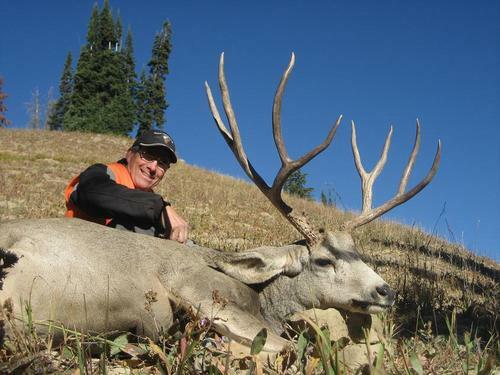 3 day rifle hunts available Sept 10-12 and Sept 13-15 or as an add-on species for mule deer hunts. When seasons for different species overlap and run concurrently we can provide hunts for more than one species at a time. Currently we have 2 hunts where rifle elk and mule deer are open at the same time so we offer an elk/deer combo hunt beginning in late September. Mule Deer and Antelope seasons run concurrently through the rifle Mule Deer season. Our antelope hunting is only a few minutes drive from the Trailhead. Rifle antelope hunts have been 100% kill and Mule Deer hunts have been over 80% kill and 100% opportunity. Deer/Antelope combo hunts can be scheduled with any deer hunt. Antelope season and Black Bear seasons also run concurrently. We can arrange an antelope bear combo hunt in early September. Bear hunts from baited stands are usually an evening affair with antelope hunting in the morning and mid day. Archery season begins mid August and Rifle season Sept. 1. There is a female mortality quota and season will be closed when enough female bears have been checked in. If you want to hunt fall bears plan on coming in early September. Tags are available over the counter when you get here. 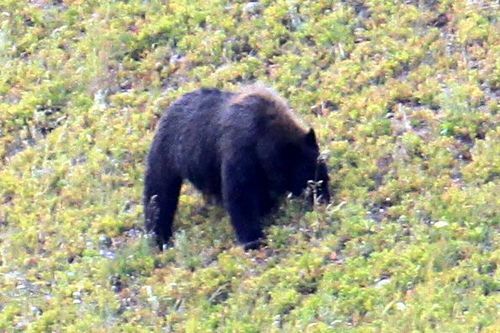 Some years the fall bear mortality can be met by Mid September, other years the quota is not met at all and bears can be taken for the full season. We need to check the bear mortality hot line to ensure the quota has not been met before you attempt to purchase an Over the Counter Bear Tag.